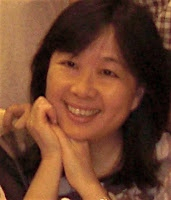 Singer and songwriter, Swee See began writing songs when she was 18, performing them to small groups of people. She even performed in a classical choir and traveled in concert tours in different parts of the world, as a hobby. However, she did not record her music to share them to a wider audience. Then for a period of 15 years in her life, she had stopped writing music until she realized that God could take away her gift since she was not using it. Things changed when she had a medical scare in 2010. This experience caused her to think and reflect on the songs that God has given her. She said to God, “Ok Lord I will sing for You, anytime, anywhere, anyhow, no more excuses, no more procrastination”. The Lord took her word and by early 2011, God brought along a recording engineer, Nick Lee to help her arrange and record her songs. So the album Music of My Heart was birth with 10 of her original songs. The album was released in Jan 2013.